Adjusted price for JEFL is Rs. 139.30 for 4.81% of Bonus Share. Its Average Base Price is Rs. 139.15. 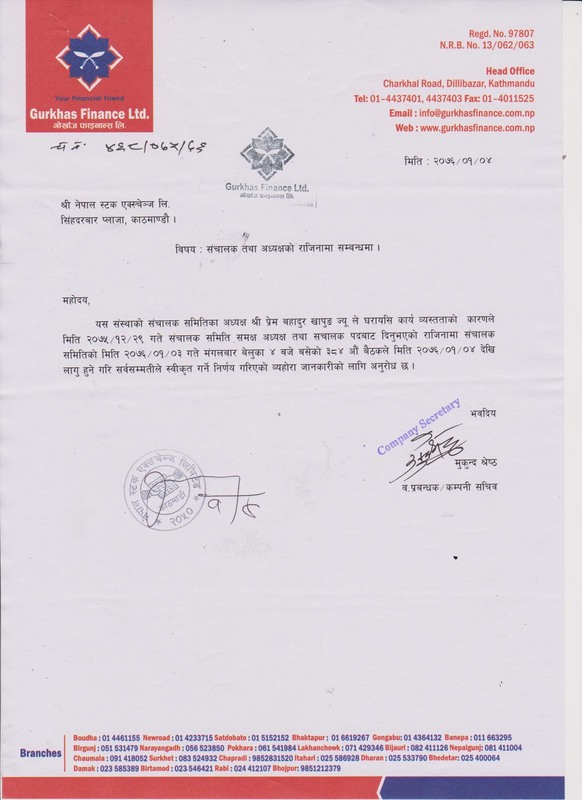 News Title AGM and Book Closure Notice of Nepal Bank Limited. Nepal Bank Limited has informed NEPSE on 2076-01-05 about AGM and Book Closure. For more details please find the company's letter. थप शेयर अभिलेख गरि कारोवार फुकुवा गरिएको बारे ! News Title थप शेयर अभिलेख गरि कारोवार फुकुवा गरिएको बारे ! 3,80,938 Units Rights Shares of Synergy Finance Ltd.(now Best Finance Company Ltd.) has been listed. News Title लगानीकर्तासँग प्रत्यक्ष रेडियो संवाद कार्यक्रम सम्बन्धमा ! 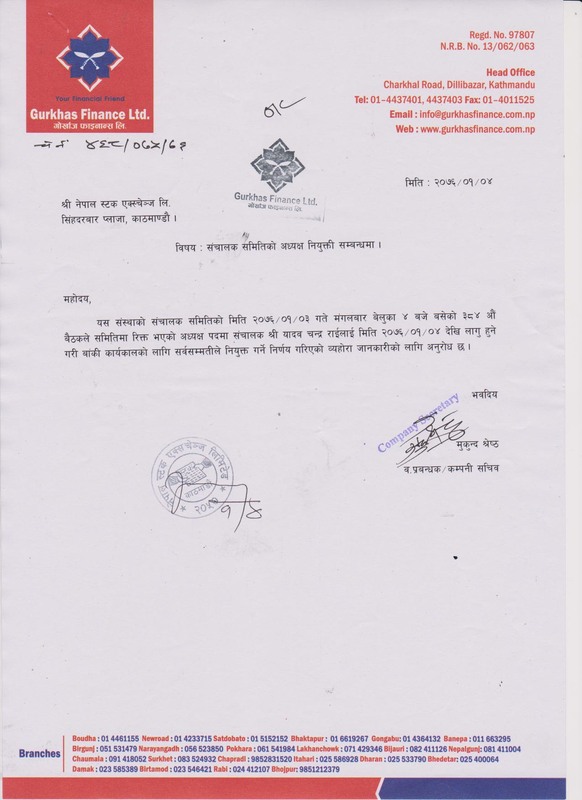 News Title Appointment of Directors in Support Microfinance Bittiya Sanstha Ltd.
News Title Change in Board Member of Mountain Hydro Nepal Limited.